HomeBeautyHow to Dye Hair at Home. Want to revamp your hair color in the comfort at your home? It’s possible to flawlessly transform your color at home if you know how to dye your hair the right way. These tips and tricks will make sure it looks like you’ve just come from the salon, every time. To get the exact results you want, pore over the “before” shades on the box labels when shopping—and make sure your starter color is a match. Step 1: Don’t wash hair for two days before you dye—you want your scalp’s natural oils to act as a barrier against irritation, says Clairol Professional celebrity colorist Kiyah Wright. Step 2: Do a strand test first by applying color on a small section. This will help you work out timing. Your hair texture will factor in here: The finer it is, the faster it’ll lighten—you may need five to 10 minutes less than the box says; if you have coarse or dry hair, you can go by the recommended time. Step 3: Keep your hairline clean. Swipe some lip balm along your hairline where you don’t want any dye to go. This will stop it from dying your actual skin, which can take days to get off. It’s one of the biggest tips on how to dye your hair. Step 4: Brush your hair. Make sure your hair is untangled before you begin, even the smallest knot can cause a big problem. Step 5: Section your hair. Professionals always section hair into four parts – down the middle, and then from ear to ear across the crown. Dye the front sections first because these are the most visible, so need the full processing time. Step 6: Don’t use the bottle. Yes, that’s what’s normally provided in the box, but squeezing dye straight onto your hair won’t give you a salon finish. Instead, play colorist and use a mixing bowl and a color brush to apply the dye. Step 7: If you just want to add some highlights, use a clean toothbrush or mascara wand and apply where the sun would normally lighten your hair (i.e, around your face and on the tips). This will give you natural looking highlights. Step 8: Start from the top. Always start at your roots when dyeing your whole head a different color – this area will need longer to develop the color – then comb through to the ends. Step 9: Wash your hair properly. Don’t shampoo immediately after dyeing your hair, just rinse out with water initially. 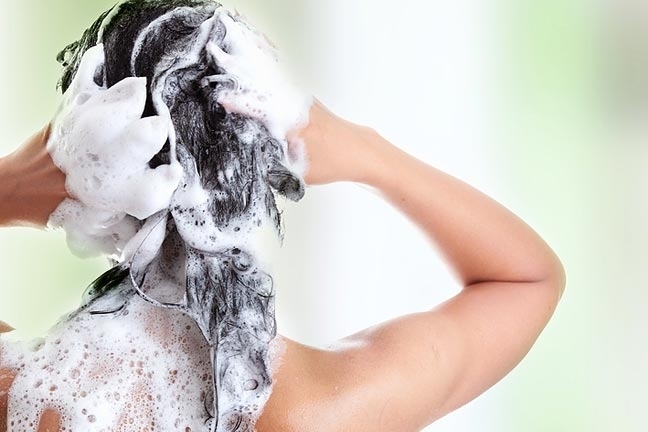 When you do shampoo your hair, make sure it doesn’t contain sulphates, because they swell your hair shaft and encourage the color to leach out. Choose the Right Shampoo – Use a sulfate-free, color-preserving shampoo and conditioner, and stick with alcohol-free (the label will say) stylers that won’t dry hair out. Don’t Overuse Hot Tools – Staying away from your hot tools the first week after coloring your hair will also help prevent the color from fading. Hot tools such as blow dryers and straighteners actually speed up the process of color fading. 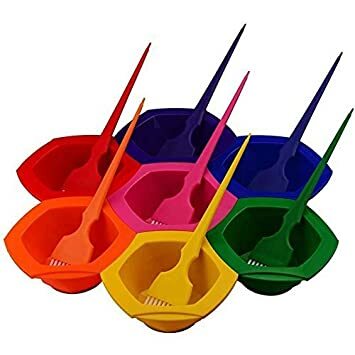 While these tools are sometimes necessary, it is best to stay away from them the first week or so after you color your hair. Wait to Wash Your Hair as Long as Possible – The new dry shampoo offerings on the market can be a boon to newly-colored hair because when you wash less, color lasts longer. Wait for 24 to 48 Hours.